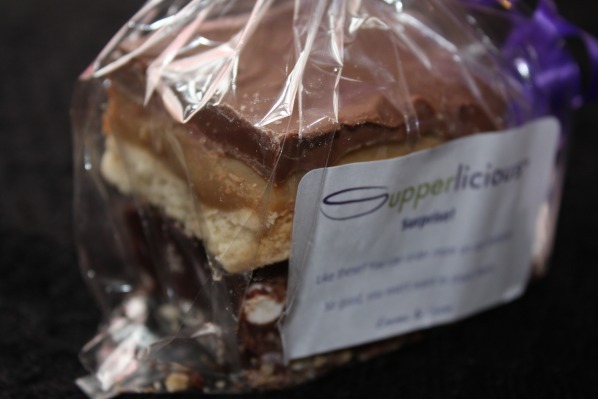 I first came across Portishead-based Supperlicious at the Love Food Spring Festival earlier this year. 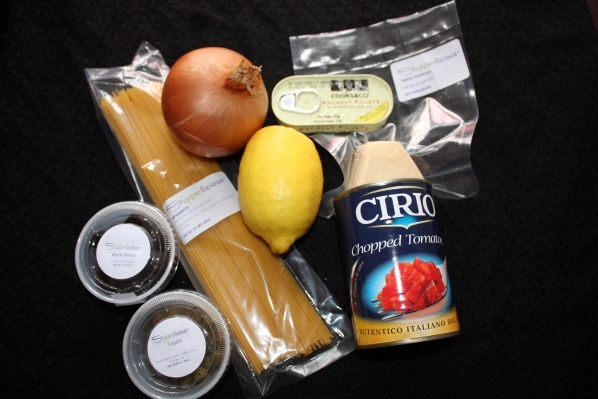 They offer a fantastic product, and one that I’m surprised I haven’t seen offered more widely: every week, they’ll deliver a bag of ingredients plus the recipes you need to create your evening meals from scratch. 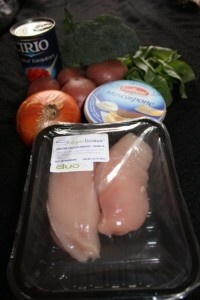 I was lucky enough to be able to sample a three day meal bag for two, courtesy of Supperlicious. There’s a whole range of bags available, though – choose from the three day or the five day option, for two people or for a whole family. Vegetarians are also catered for, and there’s a small range of extras (including sweet treats!) that can be added to your bag at additional cost. 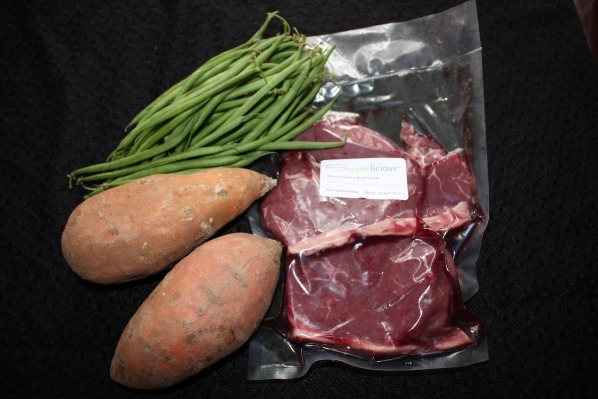 Prices range from £39 for a three day bag for two, to £85 for a five day bag for a family – reasonable value when you consider the ingredients and cost of delivery, but an amount that may be prohibitive to some. The week before you receive your bag, Supperlicious will email you with a list of “storecupboard ingredients” that you’ll need to create your meals – generally just seasonings, nothing that most customers wouldn’t normally have in their kitchens. On the day of delivery, it was company owner Emma who actually turned up with my bag, as they were having delivery issues that day. All of the ingredients for my three days’ worth of dinners were packed into a large, sturdy paper bag, with the items that needed to be kept cold in a separate carrier bag inside, and kept chilled with an ice pack – very thoughtful! I resisted the urge to unpack everything in the office, but the first thing I did after getting home was to inspect the bag’s contents. …and they even threw in a free piece of millionnaire’s shortbread and one of rocky road, which made me happy! The three recipes were included in a welcome pack, which also contained an introduction to Supperlicious, as well as some discount vouchers for friends and family. I love the fact that ingredients are carefully weighed for each meal to ensure no wastage. Wastage is a common problem for me when cooking – I’ll have to buy more of something than I need to make a particular recipe, and the rest is often abandoned, which I hate. I also like the fact that they use local ingredients where possible – including meat, fruit and vegetables – and that any tinned or other items are not supermarket branded. 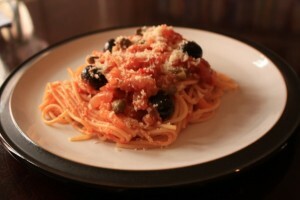 The first meal that I made was one of my all-time favourite Italian dishes: pasta puttanesca. A dish containing olives, capers and anchovies may not be to everyone’s tastes, but the recipe card from Supperlicious made the point that anchovies can be omitted if required, or even blended into the sauce (it doesn’t taste fishy at all!) The recipe was clear and simple to follow, and the meal absolutely delicious. 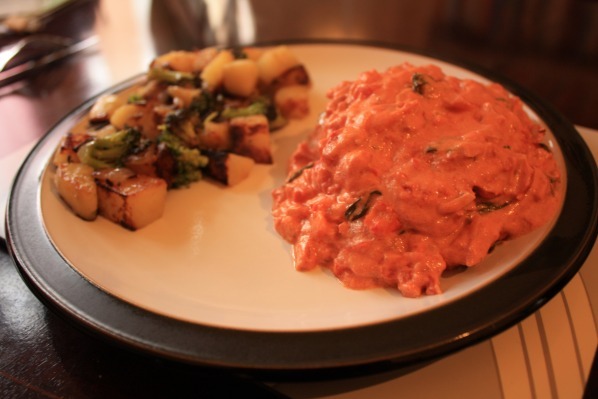 The cheesy tomato chicken with broccoli, potato and onion hash was also quick and easy – I’ll definitely be trying this recipe again in the future! It’s a really simple meal with few ingredients, perfect for a midweek dinner. I forgot to take a photo of the cumin steak with sweet potato wedges and green beans, but can confirm that the steaks were a decent size and the meal went down very well! All in all, a very positive experience – I’d definitely like to order from these guys again. It’s a perfect service for those who are sick of eating the same things over and over again, as well as for those who struggle to get to the supermarket or don’t like wasting ingredients. The recipes are easy to follow and the meals are tasty and nutritious, but the costs may be prohibitive for those on a tighter budget. Please note: this Supperlicious bag was received free of charge, but in no way impacted on our opinion. We were not obliged to write a positive review, and the company did not see this review before it was put up on the site.